The Center for High Impact Practices (CHIP) and the College of Continuing Education and Professional Development (CoCEPD) are partnering to provide ODU students and community partners with a cutting-edge agile learning space to intentionally ideate and create new knowledge to solve complex, ill-structured, real-world problems of today and the future. 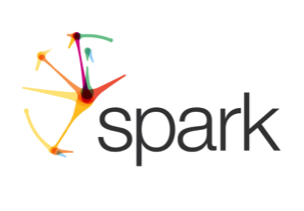 Unlike the Entrepreneurial Innovation and Strome Entrepreneurial Center’s mission for economic growth through startups and development of a culture of entrepreneurship, SPARK will facilitate a learning experience through the principles of design thinking. Design Thinking is a formal method for practical, creative resolution of problems and creation of solutions, with the intent of an improved future result. In this regard, it is a form of solution-based, or solution-focused thinking – starting with a goal (a better future situation) instead of solving a specific problem. By considering both present and future conditions and parameters of the problem, alternative solutions may be explored simultaneously. This approach differs from the analytical scientific method, which begins by thoroughly defining all parameters of a problem to create a solution. Design thinking identifies and investigates with known and ambiguous aspects of the current situation to discover hidden parameters and open alternative paths that may lead to the goal. Because design thinking is iterative, intermediate "solutions" are also potential starting points of alternative paths, including redefining of the initial problem. Design thinking employs divergent thinking as a way to ensure that many possible solutions are explored in the first instance, and then convergent thinking as a way to narrow these down to a final solution. Divergent thinking is the ability to offer different, unique or variant ideas adherent to one theme while convergent thinking is the ability to find the "correct" solution to the given problem. Design thinking encourages divergent thinking to ideate many solutions (possible or impossible) and then uses convergent thinking to prefer and realize the best resolution. promoting design thinking skills in students. Design thinking as a viable curricular and systemic reform program is increasingly being recognized by educators. Much of today's education system guides students toward finding the correct answers to fill-in-the blanks on standardized tests, as this kind of instruction facilitates streamlined assessments to measure success or failure. It is critical that, particularly in under-served schools this model of learning does not continue to prevail. Students need both the skills and the tools to participate in a society where problems are increasingly complex and nuanced understandings are vital. ODU is using the Design Thinking Paradigm to problem solve how we can make the Student Experience better to ensure academic success and increase graduation rates. The Design Thinking Challenge is an approach where the Center for High Impact Practices (CHIP) and Student Engagement Services are collaborating to identify high impact services that will be deployed in the Fall 2017 Semester. The process is documented through the following videos. The first video depicts our initial meeting where we are using the empathy element to identify services that students value. A learning space for faculty to collaborate with K-12 science students and teachers that facilitate STEM partnerships.